Because it’s adjustable in one-foot increments, the Little Giant allows one side of the ladder to be extended allowing safe use on uneven surfaces like staircases, curbs or docks. This Louisville 24 foot aluminum industrial extension ladder has a 300 lb load capacity, rated ANSI Type IA. It is equipped with the MAXLOCK rung lock, custom engineered from a patented, advanced molecular polymer, MAXLOCK is the strongest, toughest, lightest rung lock ever made This ladder also includes the patented QuickLatch RungLock system that provides a simple, intuitive method of securing the fly and base sections of the ladder when extended. 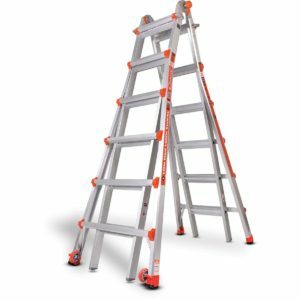 This ladder also features outside slide guides, D-shaped rungs fully serrated for a slip resistant surface, mar-resistant rail end caps, rope and pulley, full I-beam for a more stable connection and to prevent twisting, and swivel safety shoes to be used as tread down or in spike position. The Louisville AE2224 aluminum extension ladder meets or exceeds the safety standards set by ANSI, CSA, and OSHA. 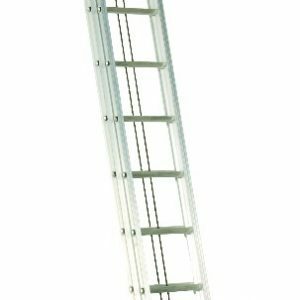 This Louisville 28 foot aluminum industrial extension ladder has a 300 lb load capacity, rated ANSI Type IA. It is equipped with the MAXLOCK rung lock, custom engineered from a patented, advanced molecular polymer, MAXLOCK is the strongest, toughest, lightest rung lock ever made. 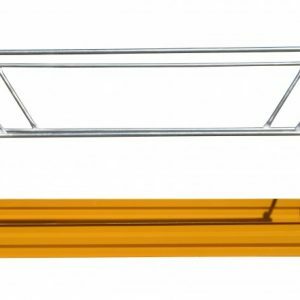 This ladder also includes the patented QuickLatch RungLock system that provides a simple, intuitive method of securing the fly and base sections of the ladder when extended. 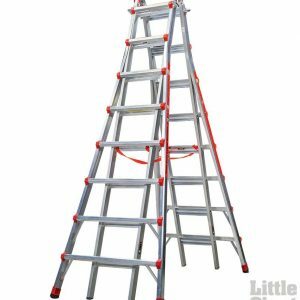 This ladder also features outside slide guides, D-shaped rungs fully serrated for a slip resistant surface, mar-resistant rail end caps, rope and pulley, full I-beam for a more stable connection and to prevent twisting, and swivel safety shoes to be used as tread down or in spike position. The Louisville AE2228 aluminum extension ladder meets or exceeds the safety standards set by ANSI, CSA, and OSHA. 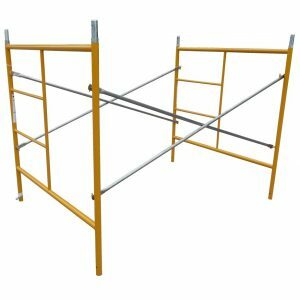 This Louisville 40 foot aluminum industrial extension ladder has a 300 lb load capacity, rated ANSI Type IA. It is equipped with the MAXLOCK rung lock, custom engineered from a patented, advanced molecular polymer, MAXLOCK is the strongest, toughest, lightest rung lock ever made. 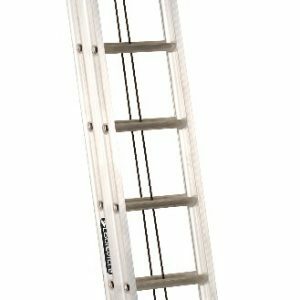 This ladder also includes the patented QuickLatch RungLock system that provides a simple, intuitive method of securing the fly and base sections of the ladder when extended. 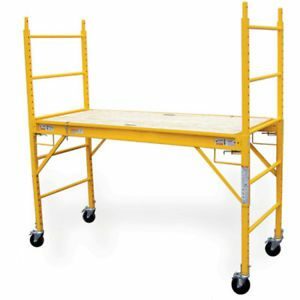 This ladder also features outside slide guides, D-shaped rungs fully serrated for a slip resistant surface, mar-resistant rail end caps, rope and pulley, full I-beam for a more stable connection and to prevent twisting, and swivel safety shoes to be used as tread down or in spike position. The Louisville AE2240 aluminum extension ladder meets or exceeds the safety standards set by ANSI, CSA, and OSHA. Easily access light fixtures and hard-to-reach places on a construction project with the PRO-SERIES 6 ft.
Where other ladders fall short, the SkyScraper from Little Giant goes above and beyond. The SkyScraper is indeed Little Giant’s tallest A-Frame ladder with a maximum height of 21-feet, making ceiling-height work simple and safe. The SkyScraper is perfect for churches, auditoriums, gymnasiums and other industrial applications. Plus it’s ideal for working over benches and stadium seating. And because it’s portable, the SkyScraper can be used in places where a motorized lift or bulky scaffolding simply can’t go. As these large items ship ground freight, please allow up to 15 business days for delivery. The SkyScraper is designed to be safe, stable and secure. 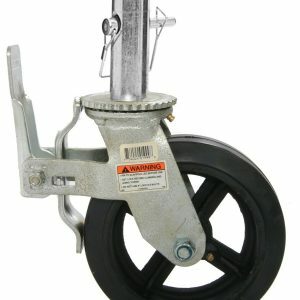 Since it’s adjustable, the Little Giant can be used safely on stairs, ramps, curbs, docks or other uneven surfaces. The SkyScraper is made of heavy-wall, 6005-T5 aluminum–the very same material used in aerospace construction. So it’s ultra-strong while remaining portable. In fact, The SkyScraper is government-rated to hold up to 300 pounds, so it can handle virtually any industrial application. The Skyscraper ladder gives you the ultimate in versatility. One SkyScraper takes the place of expensive motorized lifts, bulky scaffolding and flimsy extension ladders. 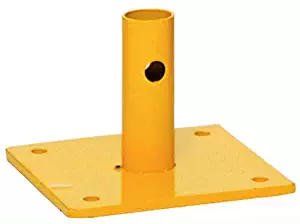 Plus it’s adjustable for safe use on uneven surfaces. Width at base 3 ft. 1 in.